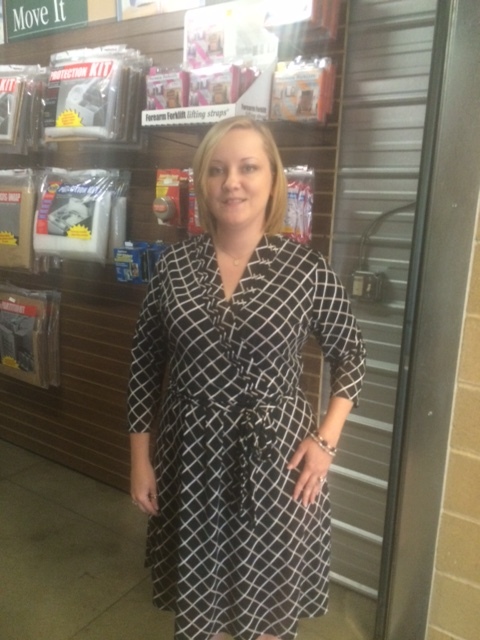 Profile Response: Sharon Wiggins Self-Storage Spokane, Spokane WA | How Will We Live Tomorrow? When I began this journey I anticipated having an intimate connection to people and places. Within a few weeks I added a third component to my up-close survey of the United States: stuff. It’s everywhere. Raw materials, manufactured components, assembled objects, wholesale, retail, resale, auction, trash recycling, landfill. We devote much of our lives to transforming one form of this planet into another. We define economic growth by making as much as we can, as opposed to producing only what we need. As a result we have more stuff than ever. American’s houses are twice the size they were fifty years ago, and we have fewer people in each house. Still, we don’t have enough room for our stuff. So we invented the self-storage park. Every town I’ve been through, no matter how small, has one. It let’s us keep the stuff that’s close to our heart, even when it’s not close at hand. Sharon Wiggins manages Self-Storage Spokane, one of the nicest parks I’ve seen. She described the variety of people who rent storage space. First, there are people who need temporary storage between permanent residences. They rent a unit, fill it, and don’t return until they empty it. They usually rent for two to three months between houses, although that can stretch to years for people deployed overseas. Just as some people upsize via a storage unit, “Downsizing is a lot of our business. People going into nursing homes or assisted living rent large units. Parents have the satisfaction that their possessions are still intact while the children can delay having to decide what to do with it.” If they sell it all when the parents die, no feelings are bruised. 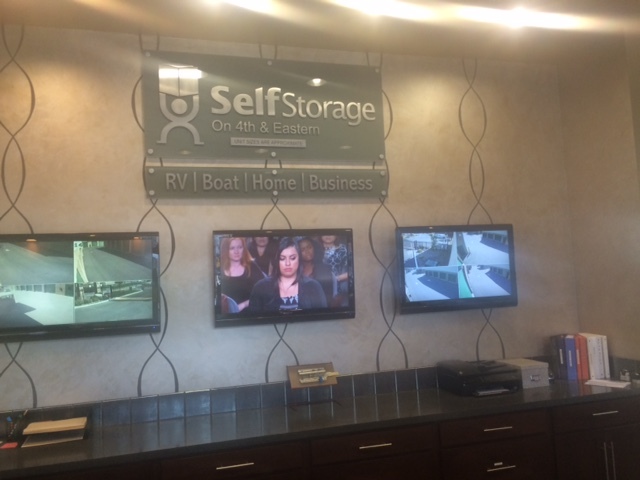 The self-storage business began in the 1970’s and has maintained steady growth ever since. 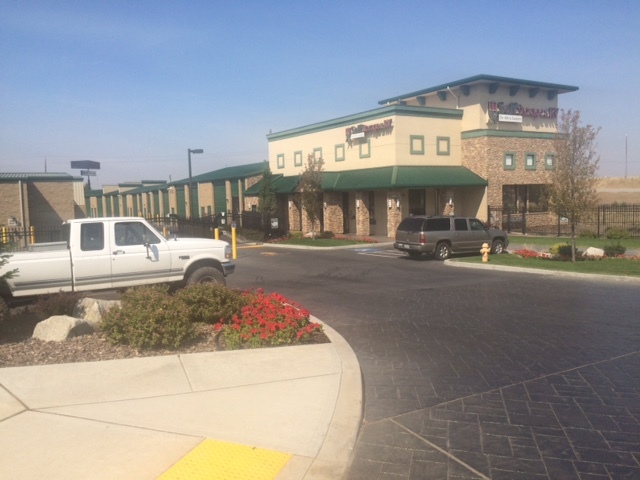 Self Storage Spokane is above average in their pricing structure as well as amenities. They offer climate-controlled units and twenty-four hour security with individual unit alarms. “We also have very good curb appeal, which factors into people’s choice.” Self Storage Spokane projects permanence and stability with its manicured lawns, iron rail fences, and stone reception building. As I pedaled away I realized why self-storage is a win-win business model. Storage facility owners have fewer hassles than landlords of occupied buildings and get good return on their investment. Yet renters also benefit. Renting a storage building is cheaper than leasing habitable space. 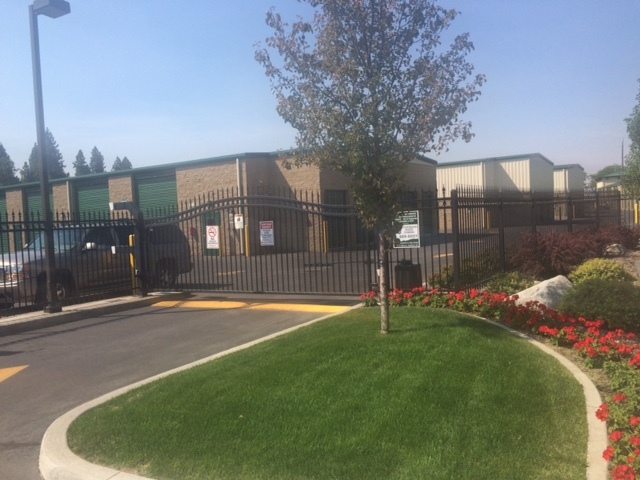 This entry was posted in Responses and tagged downsizing, self-storage, Self-Storage Spokane, Spokane WA, storage units, upsizing. Bookmark the permalink.